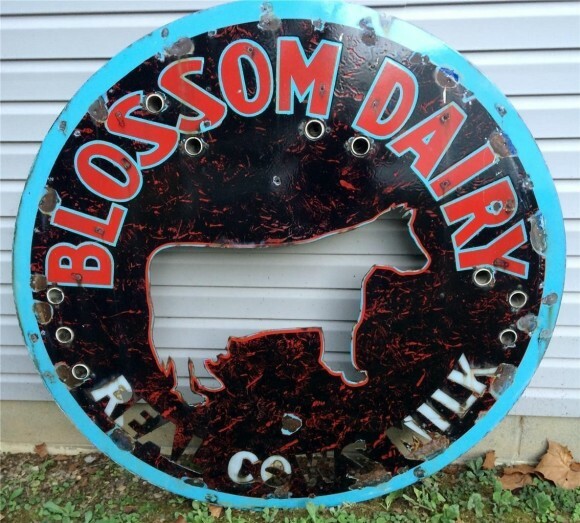 Measuring 52″ across, this interesting sign is for Blossom Dairy where you can get real cow’s milk. The center of the sign has been cut out in the shape of a cow, and so have the bottom words. The text on the circular sign read, “Blossom Dairy, Real Cows Milk.” This sign is a neon.